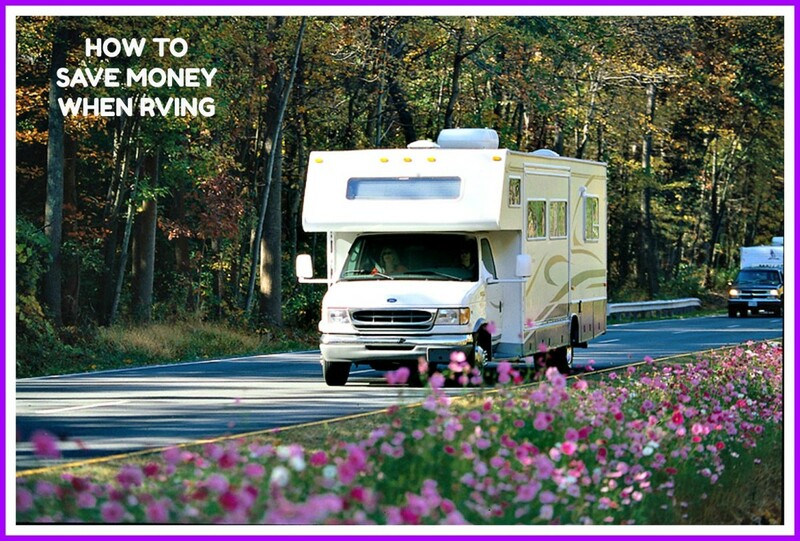 Life is now a lot easier for RV owners. Instead of using shared washing machines at camping grounds and laundromats, you can buy a light and portable RV washing machine like mine. Use it inside your RV, or carry it outside to connect to external power and a garden hose. Water can drain directly onto the grass instead of filling your waste-water storage tank. Here's why I believe this is the best RV washing machine. I grew up in the days of ridiculously heavy washing machines. On moving day, the washing machine was one of the heaviest items. With time, metal washing machines became a little lighter. But never as light as my new portable washing machine, ideal for RVs and caravans. It's made of plastic. I can lift and carry my empty washing machine with ease. It is truly portable in more ways than one. Light enough to lift and relocate, before and after use. Store it away between uses. Light enough to carry in RV or caravan. No fear of excess weight. Different sizes available. 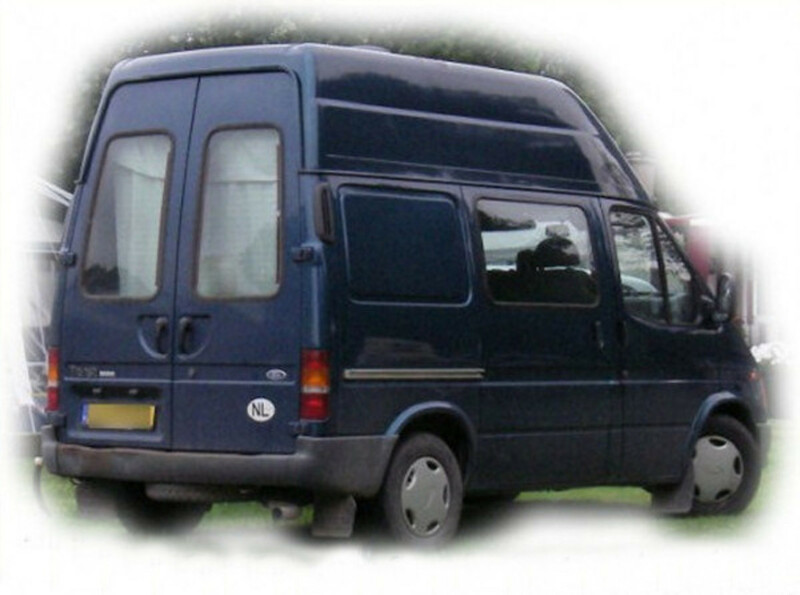 You'll find one for even the smallest spot in your RV, caravan or home. I live off-grid in a home powered by solar panels and batteries. I use this light and portable washing machine to meet my off-grid needs, and take it along with us in the caravan when we go on lengthy camping trips. Perfect for those who don't want to rely on laundromats! When choosing a washing machine for your RV, caravan or motor home, ask yourself a few basic questions. These two questions will help you decide on what size machine suits you best. How much physical space do I have for a washing machine? What size is my average washing load? These questions will help you decide whether or not to choose the 'twin tub' type of machine I own and prefer. Am I happy to spend a bit of time moving washing between washer and spin drier? Is my RV set up to turn on a washing machine when loaded, and walk away leaving it unattended? 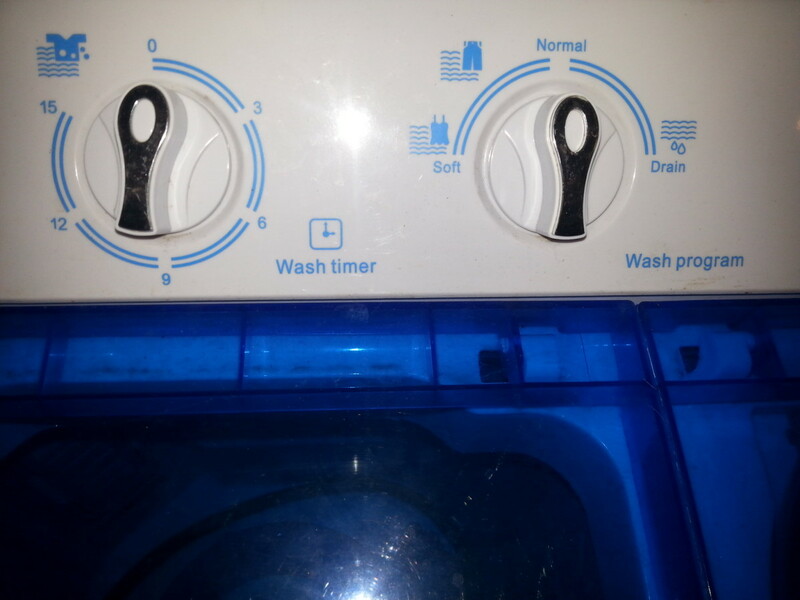 I have no interest in traditional top-loading and front-loading machines because I prefer to have control over how much water the washing process uses. For instance, I will often wash light cotton items first, then remove them and add dirty jeans to the same wash water. I don't have the same level of flexibility with traditional single-tub washing machines. Portable washing machines are now available in a variety of styles. Single-tub machines are also made with the same light plastic as my twin tub. So look for one that suits you best. Using a twin tub washing machine is simple, but requires more time and effort than the top-loading or front-loading washing machine you are probably used to. Here's the basic process. The process is simple, but you will need to be involved in each step. You wash clothes in the tub on the left. The spinner is on the right. 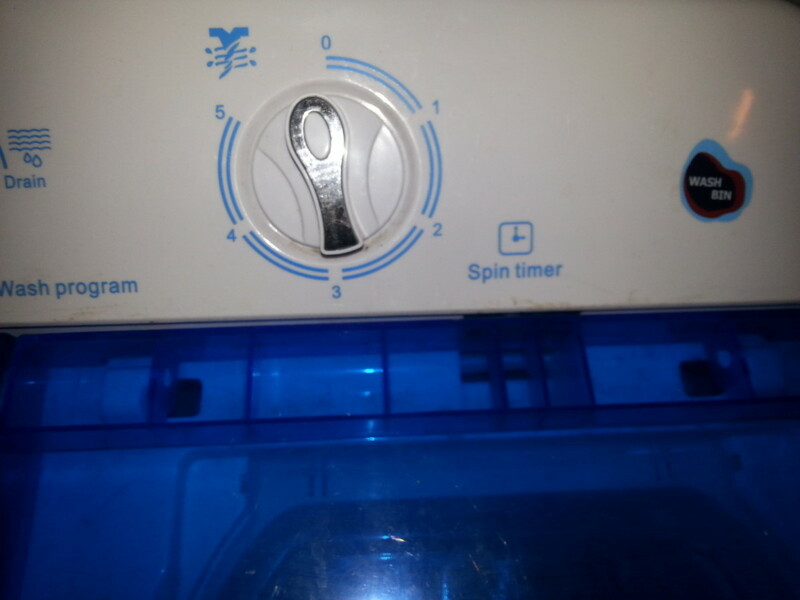 Three dials are used: Wash Time, Load (heavy, normal, drain), Spin Time. You move the wet clothes to the spin dryer. A cap is provided to hold the load in place while spinning. 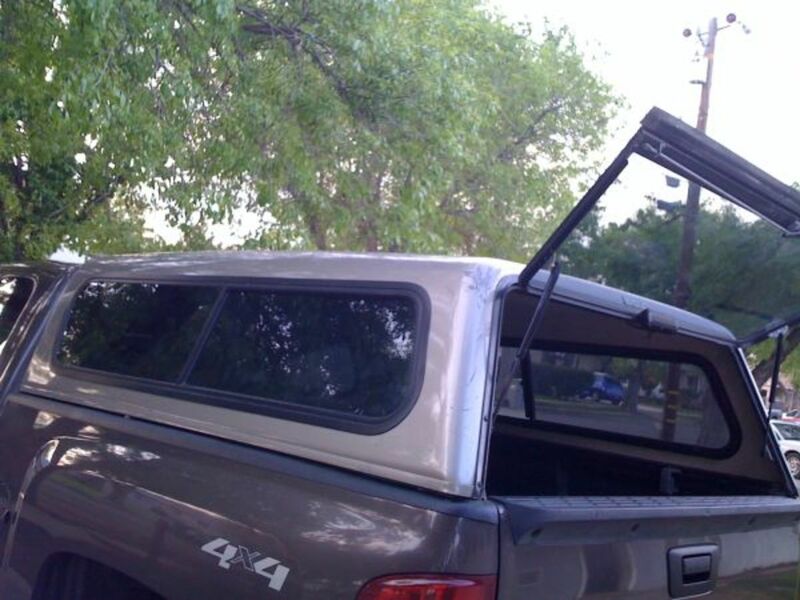 If you don't push the cap down firmly, the load will become unbalanced. 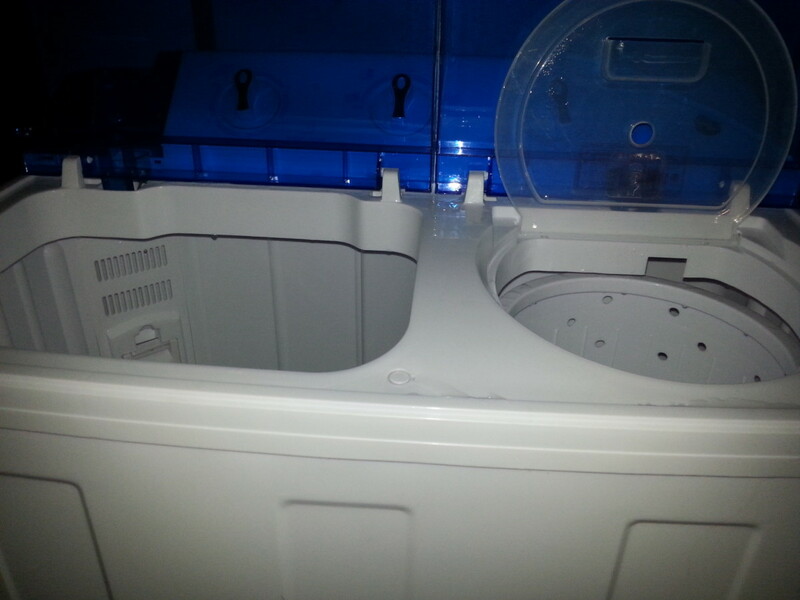 After spinning removes the soapy water, you return your wash load to the left tub for fresh water and rinsing. Repeat spin process. Items are now ready to line-dry. When washing, choose either 'Heavy' or 'Normal' setting. When emptying the water from wash tub, choose 'Drain'. Instructions come with each machine. Let's be honest. Camping is fun and traveling light is easy, when things go according to plan. But so many little things can cause annoyance and potentially spoil the fun. 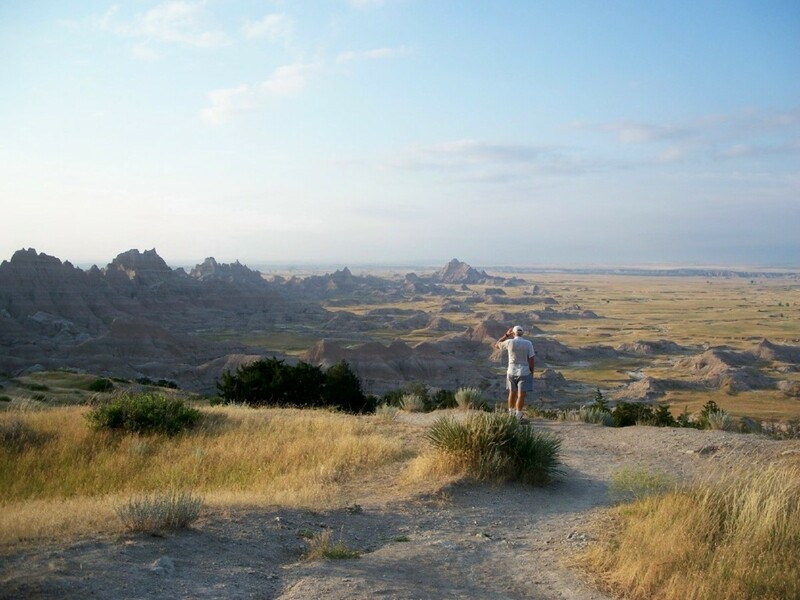 When I travel on a camping trip with my family, I like life to be simple and easy. 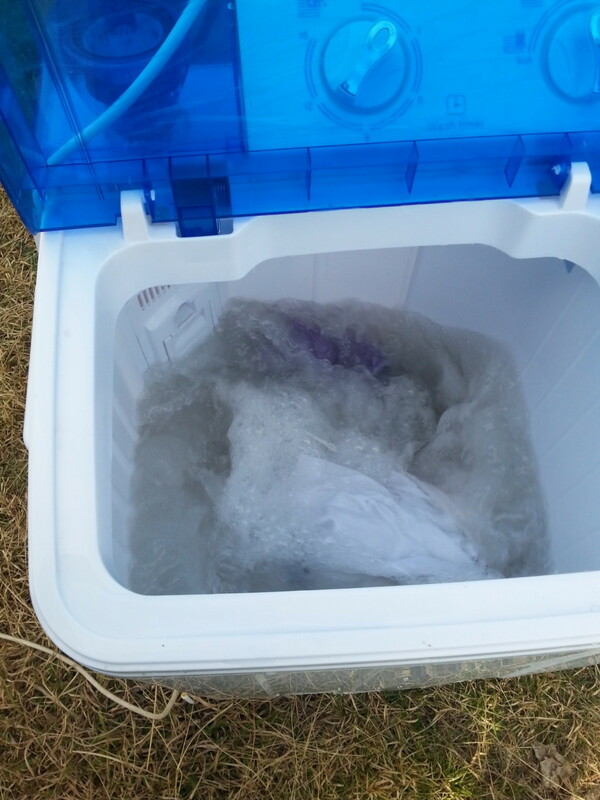 Having a portable RV washing machine helps in so many ways! Wet towels are heavy and can be difficult to dry. Spinning the water out makes them quicker to dry, and available to use again much faster. Torrential rain creates soaking wet clothes. Ah, the joy of spinning out excess water. Suddenly the task of drying wet gear becomes so much easier! Why do children gravitate towards mud? Instead of bringing piles of extra clothes for youngsters, a simple wash and spin dry makes recycling dirty clothes very easy. The washing machine (when not in use) can be used for storing clothing or bedding. The space inside the machine is not wasted when on the move. 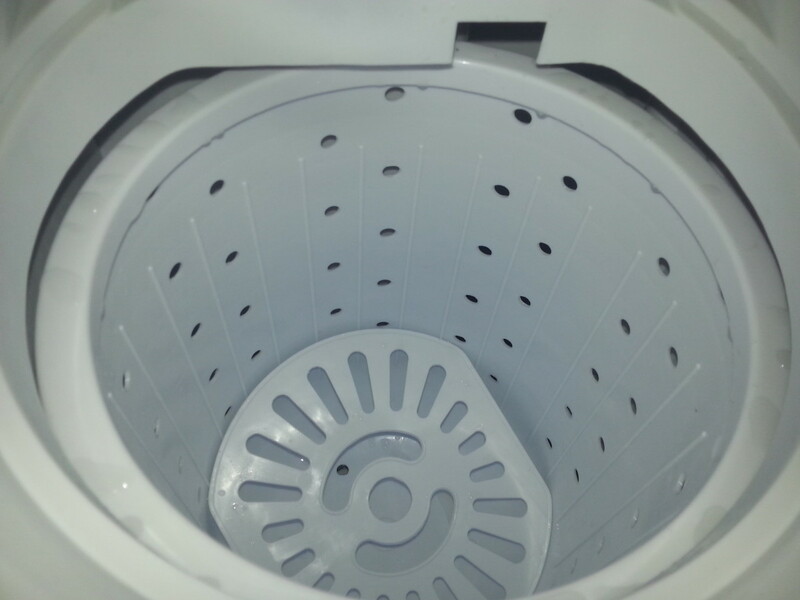 The spin dryer in a twin tub washing machine does not perform the same as heated clothes driers. It won't dry your washing, but it will spin most of the water out. The items are damp, but easy to line dry. After spinning the water out of wet, drippy towels, I've even dried our damp towels over the back of chairs overnight. There's no way I'd try that with soaking wet items. 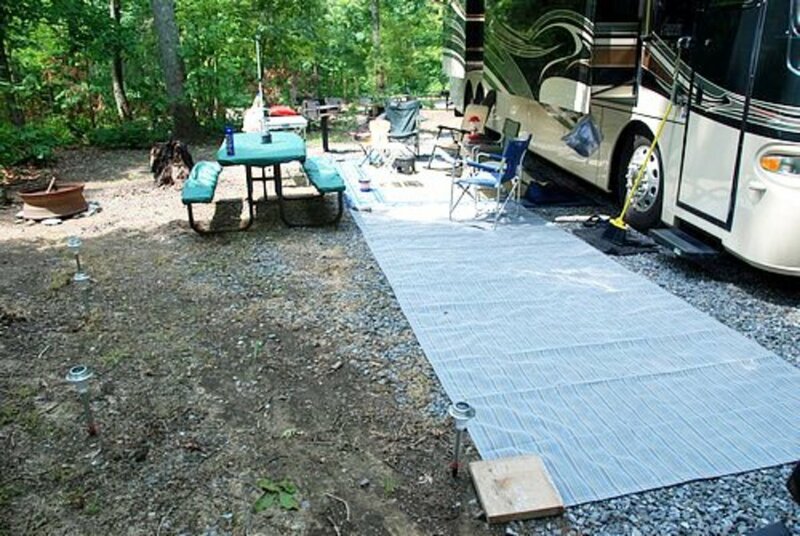 How Do You Clean Clothes in an RV or Caravan? Over the years, I've tried many ways of coping with dirty clothes when camping. How do you do it? Laundromat or campsite washing facilities. Bring lots of extra clothes, and take washing home. Oooh, I think I'll get a portable washing machine! RV Washing Machine Like Mine! Light and easy to move around. Store it hidden away and bring it out only when you want to use it. Wash a load, or simply spin the water out of clothes after rain. 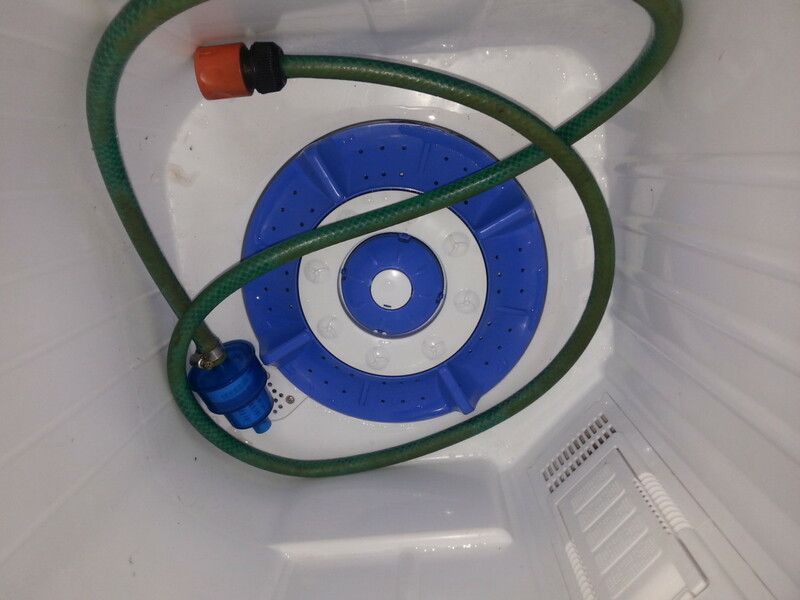 I sometimes take my portable washing machine outdoors, connect a garden hose to fill it, and run an extension cord to it. Outdoors, water can drain out onto grass. Will A Portable Plastic Washing Machine Suit You? I strongly recommend this kind of portable washing machine for anyone with limited space, water or power. Anyone in a tiny condo or unit, where space is limited. Sure, you may still decide to use a laundromat for large loads of sheets and bed covers. But a light and portable washing machine like mine is ideal for taking care of small loads and dirty clothes every few days. I can choose whether to fill it, or use less water with a smaller load. 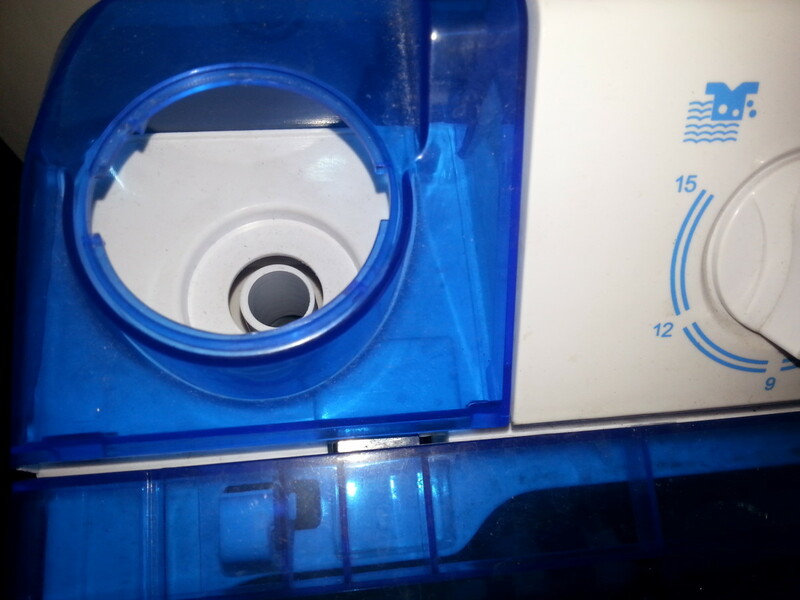 Made of plastic, these portable washing machines obviously won't last forever. However they are surprisingly inexpensive and extremely useful, so I'll be happy to replace my little twin tub whenever it wears out. My RV washing machine is having trouble draining the water. What should I do? 1) Lower the drain pipe. 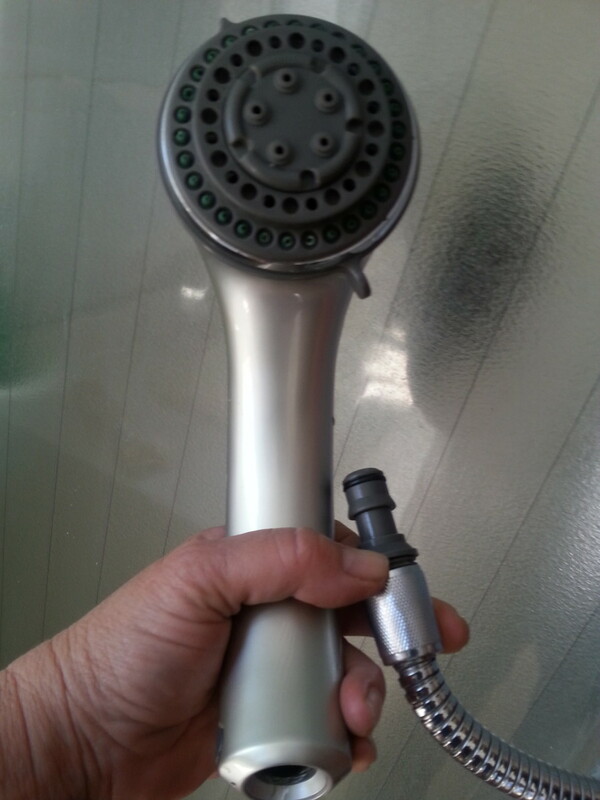 If it is attached to the side, release it and lay it on the bottom of your shower cubicle. Put a mop or something on it to keep it in place. It will move with lots of water draining out. If you have a shower over a bath or a high step into your shower, you should 2) raise your washing machine. An empty portable washing machine is very light, as you know. Improvise with some plastic milk crates, for instance. They’re light and can be stored easily. Make sure you keep an eye on the machine during all cycles at least the first time so you can see if there’s unexpected movement likely to result in it toppling. A twin tub requires more effort than a fully automatic washing machine, Louise, but it has lots of advantages. I'm happy they're still available. Oh I remember when my Grandmother had a twintub. Those things were really good. I like that you provide alternatives for where this might be used. 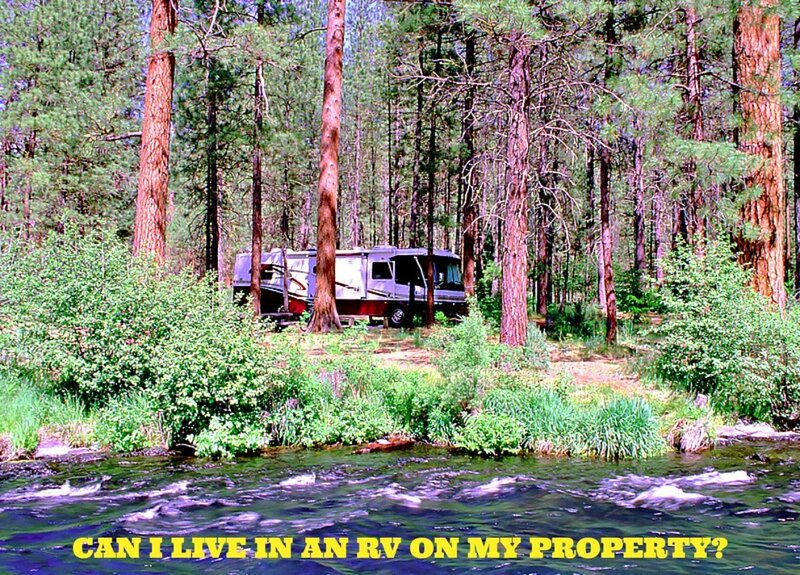 Although not everyone has an RV, I'd bet there are lots of people living in small spaces who would like to have one of these. I would love to have one of these for emergency purposes. This would be a great idea for college students too.